Anomera can now count itself as an award winning McGill Chemistry spinoff! 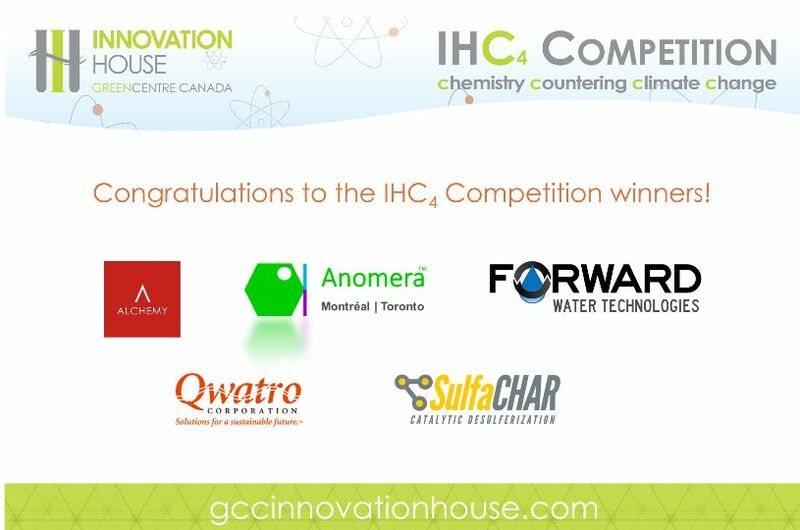 The company is a recent winner of the GreenCentre Canada Innovation House Chemistry Countering Climate Change (IHC4) Competition. Anomera joins a prestigious history of innovation from the Department. Anomera (from the anomeric carbon of glucose), emerged from patient laboratory research by some very imaginative graduate students and postdoctoral fellows, Tim Morse, Monika Rak and Nathan Hordy. With Professor Andrews, the 4 founders are committed to discovery, sustainability and McGill’s enthusiastic engagement of innovation and entrepreneurship. Their research has benefited in part from Federal and Quebec funding, and significantly from five years of validation sponsored by its strategic partner - a globally recognized market leader in cosmetics. Anomera specializes in converting raw biomass and naturally sourced renewable materials from the Canadian forestry industry into proprietary, biodegradable, high performance cellulose products. These are competitive alternatives to mineral, ceramic and environmentally damaging artificial cosmetic ingredients. Anomera is excited that the Xerox Research Centre of Canada is committed as its second strategic partner to scale-up for volume manufacturing. Anomera gratefully acknowledges McGill University, the Centre d’entreprises et d’innovation de Montréal (CEIM), Notman House and the RIC Centre for support.